It’s done! I love this blanket so much! Such a simple blanket to make but the yarn really makes it. 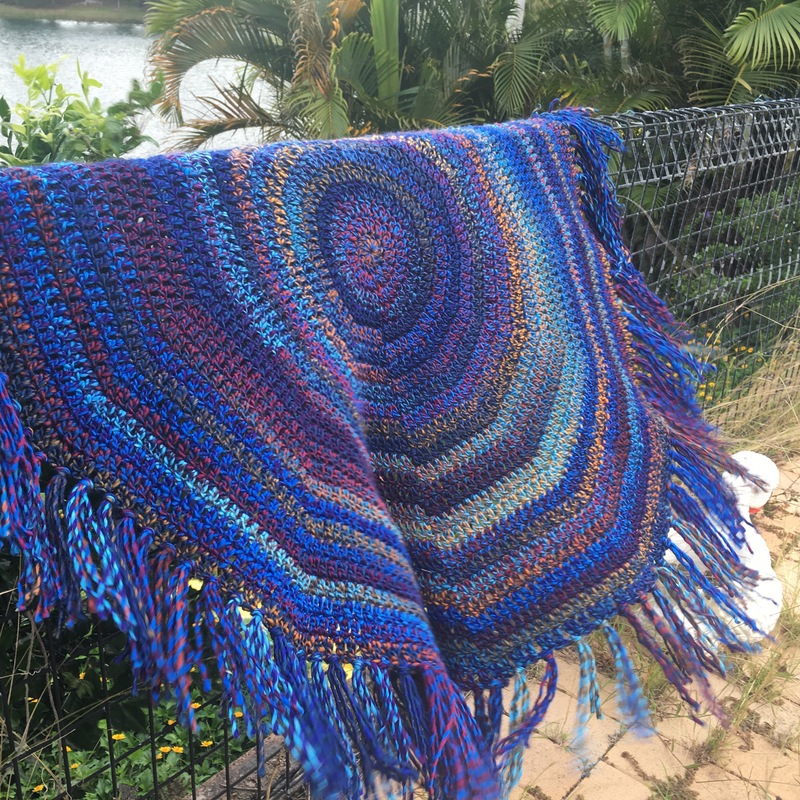 I used a 7mm hook with Colours of Love yarn to create the bulky boho feeling. I added a fringe to the edge instead of leaving it plain. I love how soft the yarn feels and how the colours melt into each other! I used about 7 balls of wool for this, and 1 for the fringe. I wanted the fringe to be full but not overpowering, it’s all personal taste, you could add more if you wanted. This was really quick to crochet as well, only about a week! Is this yarn very chunky?